There’s a restaurant in my hometown airport that I visit nearly every time I have a flight out...or back in. I sometimes take my whole family. Once, I even offered to pick up the tab for a whole group of colleagues. The prices there are higher than what I’d normally foot, but it doesn’t bother me. Because I’ve never had to pay. You see, the Timberline Steaks & Grille restaurant at Denver International Airport is part of the Priority Pass Select airport business lounge program, which is a benefit of the Chase Sapphire Reserve and American Express Platinum cards. With this lounge membership, you receive a credit of up to $28 worth of food or drinks, per person, every time you visit. All I have to do is leave a tip. This particular restaurant is not alone — there are 30 other U.S. airport dining establishments in the Priority Pass Select network, which is comprised of over 1,000 lounges (which often offer free snacks, light meals, and alcohol) and restaurants around the world. Airport restaurant and business lounge access is just one of several valuable bonuses you can enjoy as a benefit of your credit card. You don't need to rack up a large balance amount to then rack up reward points either. Just pay the annual fee (more on that below), sit back, and enjoy the perks. As an expert in credit cards and travel rewards, I have over a dozen credit cards and I’m always trying to take advantage of all said perks. While you might not want to have quite as many cards as I do, there’s no reason you can’t enjoy all the rewards of the cards you do have. Here's how. One of the most amazing evenings that I’ve ever had was when I attended the 2016 Primetime Emmy Awards in Los Angeles. Living a thousand miles from Hollywood, it’s pretty rare for me to catch a glimpse of celebrity life. That night, however, I was in a room with what felt like all of them. The casts of Game of Thrones, Veep, and Transparent walked past me faster than I could recognize them, kind of a like a live version of channel surfing. I even had seats close enough to the stage that by the end of the show, many people near me were holding awards. Afterward, I attended the official Emmys after-party, the Governors Ball, where I had the chance to mix and mingle with Keri Russell from The Americans and Rami Malek from Mr. Robot, two of my favorite stars. I didn’t have to be famous, or even a credit card expert, to attend the Emmys. I just needed to be a Chase Sapphire Preferred or Sapphire Reserve card holder...with $2,000, or 200,000 Ultimate Rewards points, to spare. Similarly in 2017, I attended Super Bowl VI in Houston, along with holders of the NFL Extra Points card from Barclays. These cardholders can redeem their 25,000 reward points for two tickets to regular season games, playoff games, and even football’s ultimate showdown. While everyone at home was watching the commercials, fans in attendance were treated to special on-field presentations with famous astronauts and even former President George H. W. Bush. Other cardmember rewards can include pre-game access to the sidelines, the chance to be in the tunnel as the players run out on the field, and entrance to the post-game press conference. The spirit is as palpable as the sweat dripping off foreheads...and worth every point. This winter, I went skiing with my family in Summit County. Colo., about 60 miles from home. Rather than fighting the traffic after a long day on the mountain, we decided to stay at the Hyatt Place Keystone. Upon arrival, I was welcomed as an elite member in their World of Hyatt loyalty program, given complimentary bottles of water and keys to a two-bedroom suite with two full bathrooms and a view of the resort. Other perks of Hyatt elite status can include a 2 p.m. or 4 p.m. late checkout, confirmed suite upgrades, and complimentary breakfasts. I enjoy elite status just by having the World of Hyatt credit card, and I receive these perks even when I stay for free using my reward points. Don't have elite status? No problem. Dia Adams, the force behind the The Deal Mommy, enjoys hotel perks without having elite status. As she recalls, “The benefit I've been enjoying most lately is the Chase Luxury Hotel Collection. 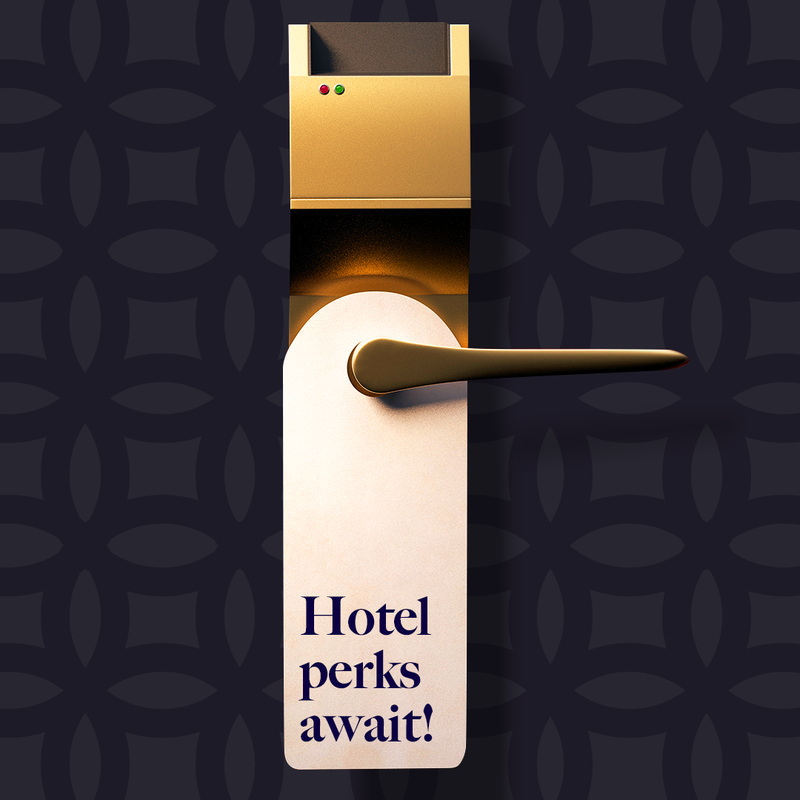 The program gives you an upgrade, free breakfast, late checkout, and other perks while maintaining hotel loyalty program perks. Even better, it can stack with other credit card promotions such as American Express Offers. “For example, last spring my husband and I took a quick getaway to the Aria Resort in Las Vegas. By booking the $199 room rate through Chase Luxury Hotels, we received two free breakfast buffets ($80) and $100 resort credit. The resort also recognized my Hyatt status with a welcome gift and gave us an upgrade to a corner Strip View room. Even better, by getting the bill just over $300 at checkout, I was able to apply a $60-off-$300 MGM offer from my American Express Platinum card,” she adds. On a recent business trip to Washington D.C., I picked up a colleague from the airport. He phoned to see where I was, and I informed him I was pulling up in a white Jaguar sedan. When he got in the car, he confessed that he thought I was kidding. But because I hold elite status with the Hertz #1 Gold rewards program, I’m entitled to free car upgrades. Elite status with Hertz is a benefit of the American Express Platinum card, and it’s the only reason that I didn’t pull up in a Ford Focus. On a recent holiday trip to visit family in Atlanta, my family and I flew home from Hartsfield-Jackson International Airport, the busiest airport in the world. The local news was showing thousands of people waiting in line at security, and recommended travelers arrive three hours before their flight. Yet we ignored their advice, arriving within an hour of boarding, and were sped through security in a special line. We didn’t even have to take off our shoes or belts, or remove liquids or laptops from our carryons, or pass through an intrusive scanning device. How did we avoid the bark of TSA agents, you may wonder? My wife and I are Global Entry members, which includes TSA PreCheck, an expedited security line. Children under 18 can also use TSA PreCheck with a qualifying adult. And because we have Global Entry, we can also skip the lines when entering the country too. We both paid the $100 application fee, but were issued statement credits to cover the expense by our Sapphire Reserve and American Express Platinum cards. Sure, cards like the Reserve have a $450 annual fee, but it also gives you back $300 in annual travel credits. The perks, like not waiting in long airport lines or free meals at Timberline, provide more than enough value to make up the difference! Other credit cards with this fast-pass benefit include the Capital One Venture Rewards, the PenFed Pathfinder, and the United MileagePlus Explorer card from Chase. Even when you aren’t traveling, you can save a lot of money with credit card perks. Lee Huffman is a travel blogger who runs the site Bald Thoughts. He shares: “I shop a lot at Amazon using my Citibank Prestige credit card. Although I can earn 4 percent cash back by using the Amazon credit card, my Citi Prestige saves me far more with Citi Price Rewind." 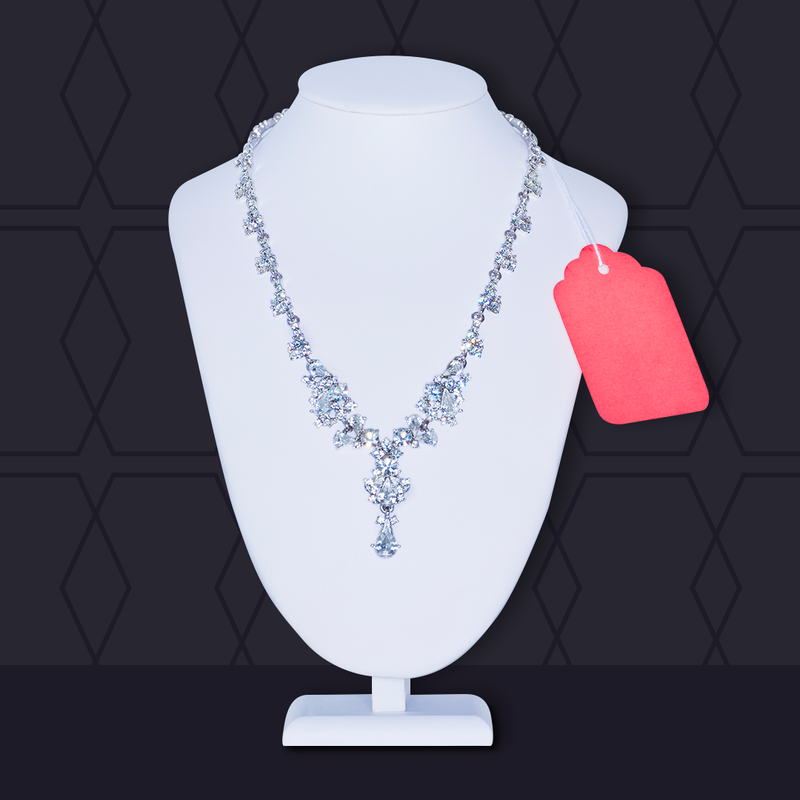 This service will automatically look for lower prices on items you’ve already purchased, and refund the difference when it finds a better deal. "I recently saved over $70 on a lamp when the price dropped shortly after buying it,” he added. In the end, having a premium rewards credit card is about far more than just earning points for every dollar spent. These particular credit cards open up a world of exclusive opportunities and added benefits, which many cardholders may not even be aware of. While a credit card is ultimately just a method of payment, and these perks aren’t essential, it sure feels nice to take advantage of them when you can.